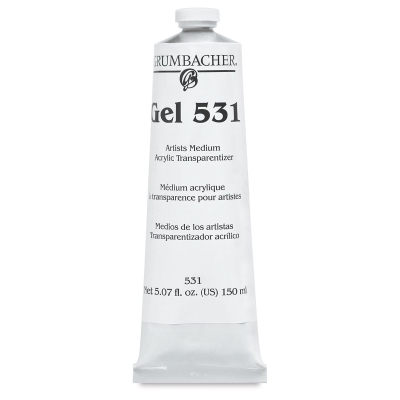 Grumbacher 531 Acrylic Transparentizer Gel is a full-bodied acrylic painting medium designed to increase the transparency of semi-transparent and transparent acrylic colors while maintaining the consistency of tube colors. It's ideal for creating transparent impasto effects and textured glazes. 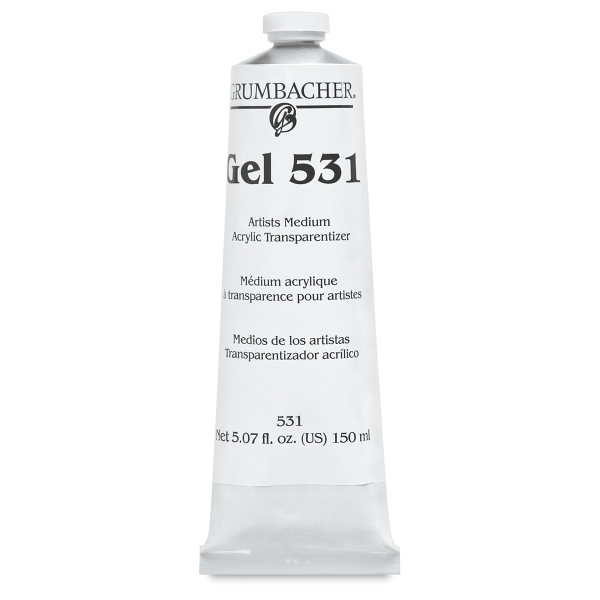 Mix it directly with acrylic paints or use it alone for transparent surface effects. It dries absolutely clear.